Usually, when you book a B&B in England, you know what to expect – a traditional British home, with a few lovingly decorated old-fashioned rooms that evoke a homey feel. I love staying in B&Bs – you usually get to talk to the owners because they’re so small, and the experience is much more persona than a large, anonymous hotel. 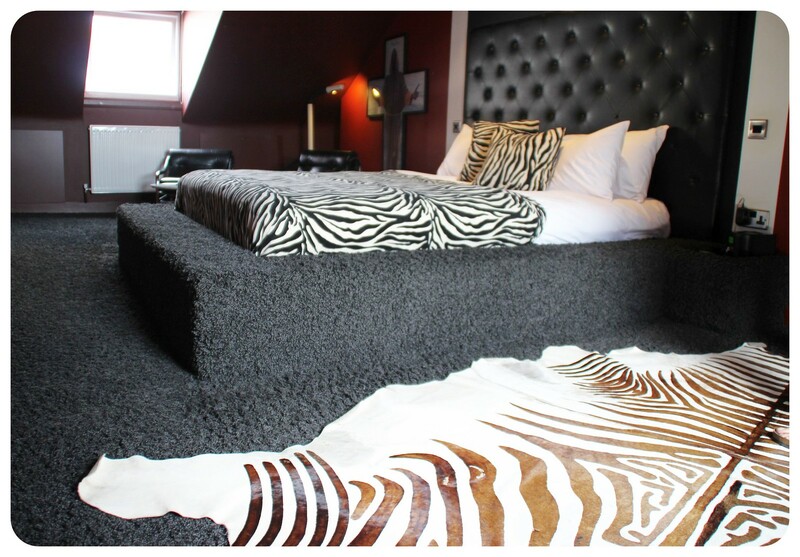 Sometimes, however, I feel that the rooms have a bit of a grandma feel and be decorated in a funkier way. 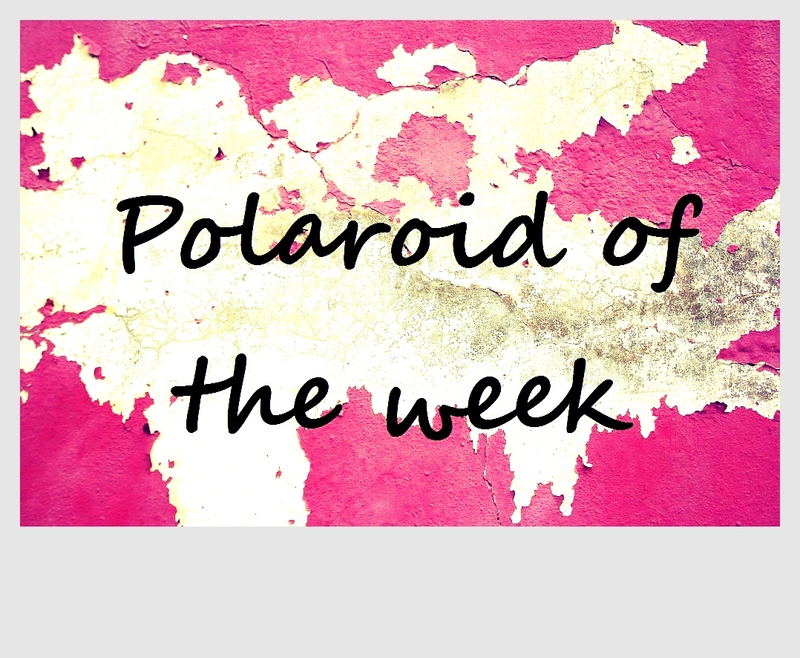 Which is exactly what Tony and Paul, the minds behind Snooze in Brighton, did. 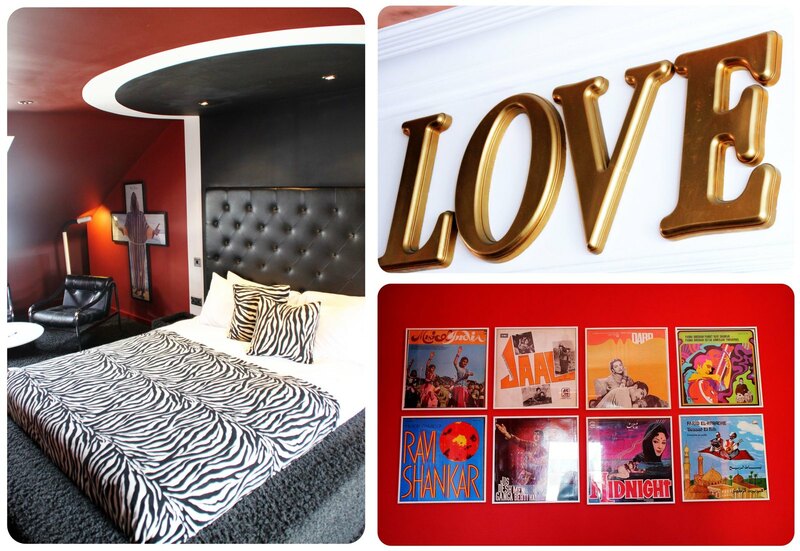 Instead of your traditional British B&B you get a B&B experience with a twist here: I would call it B&B extravaganza. 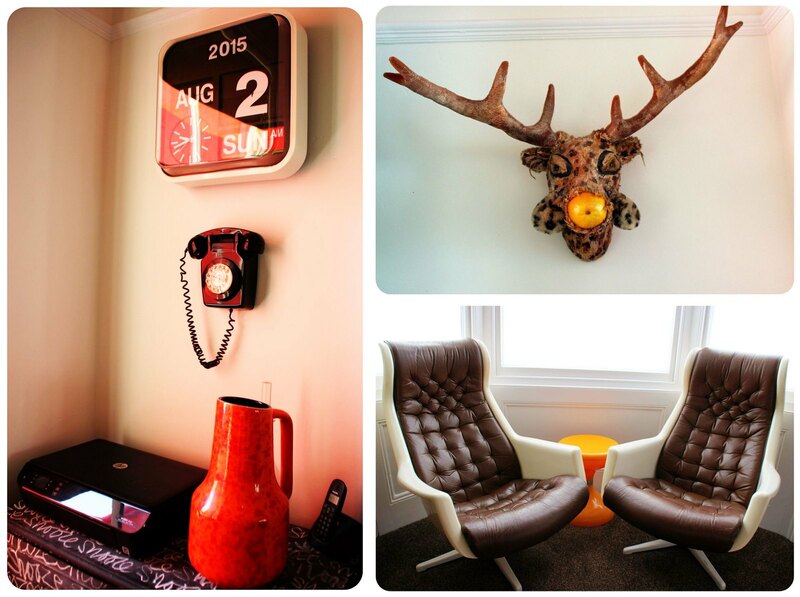 From the moment you enter the B&B , you can’t escape the funky vibe that is maintained throughout the entire building. 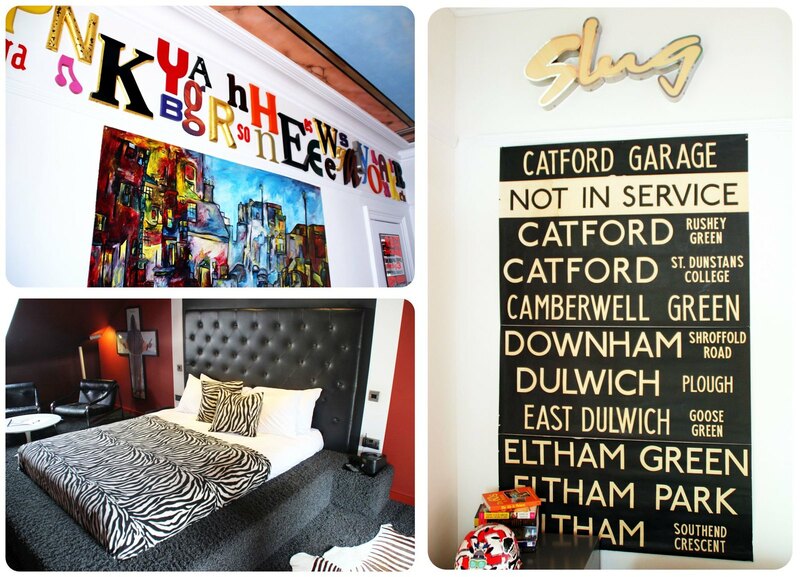 There is original artwork on the walls, painted in bright colors, even street art, with the center piece being a giant mural on the ceiling of the breakfast room, and a hotchpotch of random furniture and accessories placed around the house, collected over the years in various flea markets and antiques shops in Brighton and beyond. 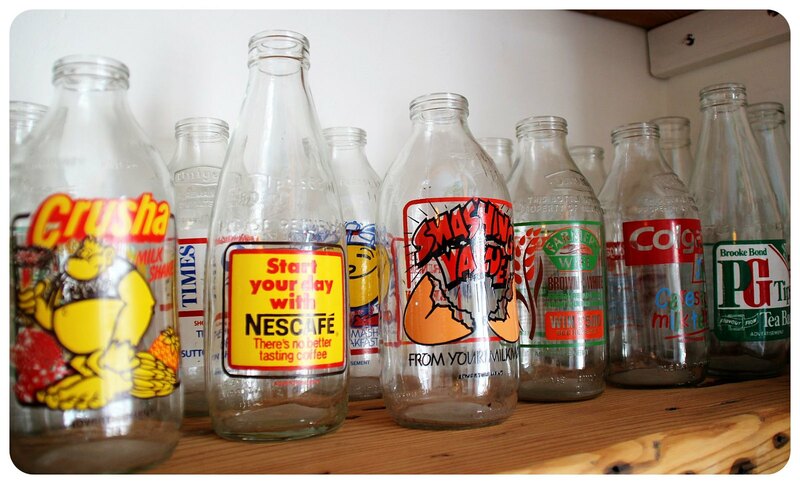 I particularly loved the collection of old bottles in the breakfast room. At Snooze, no room is like the other, each one has a different theme, mostly related to music. My bedside table for example was a drum, and the walls were decorated with album covers. I had the chance the peek into one of the suites, and see for yourself: Isn’t that a fabulous place to spend the night in? 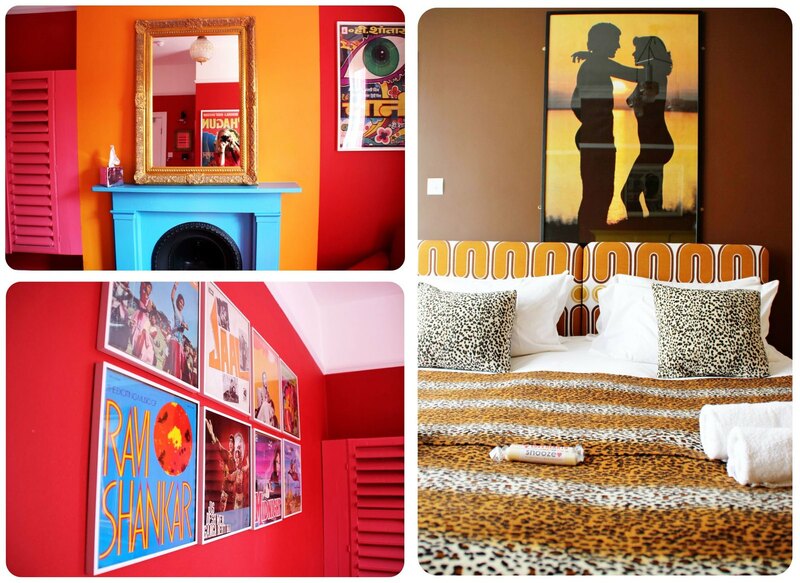 I feel like that’s where rockstars in the 70s would have loved to stay! No matter where in the house you looked, the one thing that was obvious everywhere was just how much love and attention to detail had been invested here, how much effort and thought had been put into making Snooze what it is today. 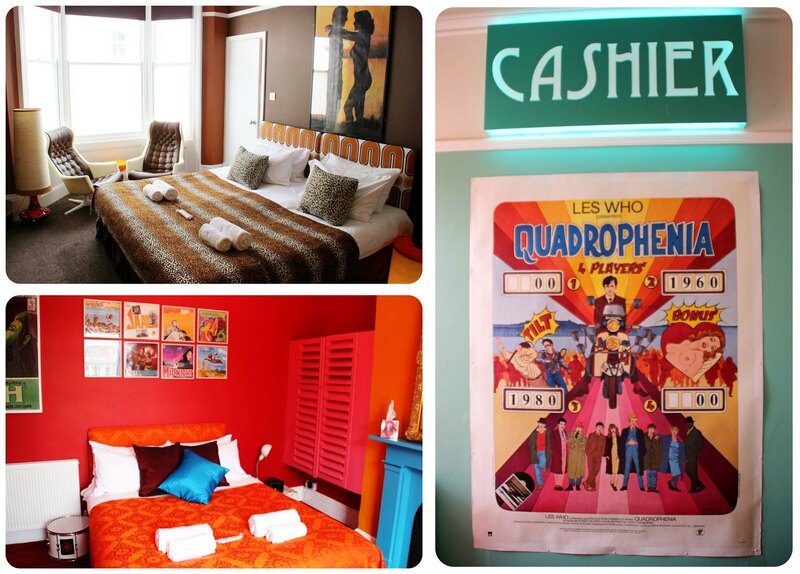 The owners’ love of music, art and design is visible in each and every little nook and cranny at Snooze, and it was fun to explore all these little details, to reminisce about bygone eras and to wonder what Brighton must have been like in the times of the mods and rockers. 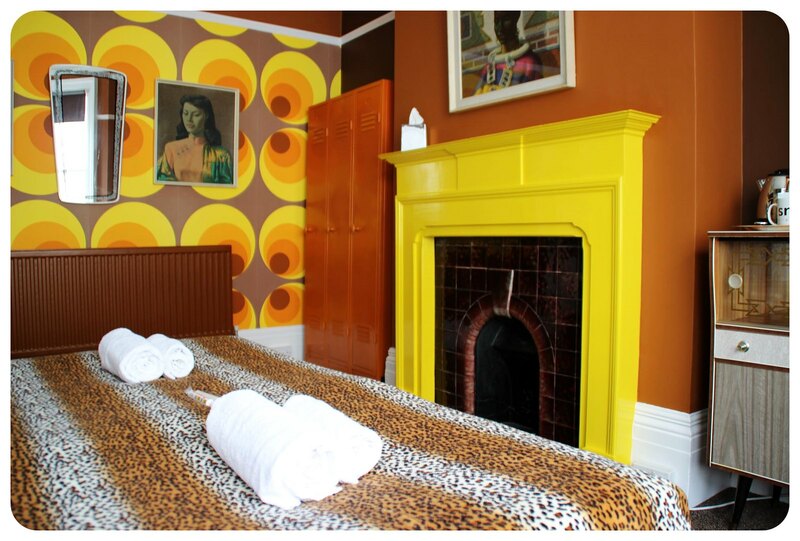 When Paul and Tony (and their spouses) took over Snooze in 2006, it was a run-down B&B, not known as Snooze yet, and in urgent need of renovation. It has taken years of renovations and collecting of the memorabilia to give Snooze the retro look it has now, and I am sure more artwork and little gems of bygone decades will be added in the future, adding to its quirkiness. 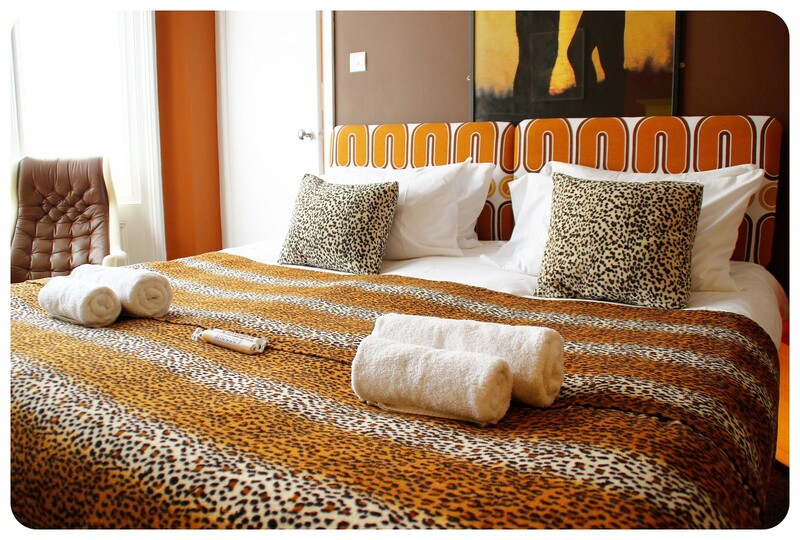 Snooze is small, with only 6 rooms and 2 suites, which gives it a cozy feel, and enables you to get to know the other guests in the breakfast room while munching on eggs, beans and toast and everything else that goes into a traditional breakfast. In addition to a full hot breakfast, guests can fill their tummies with yogurt, muesli, cornflakes or porridge, fresh fruit, toast and jams. 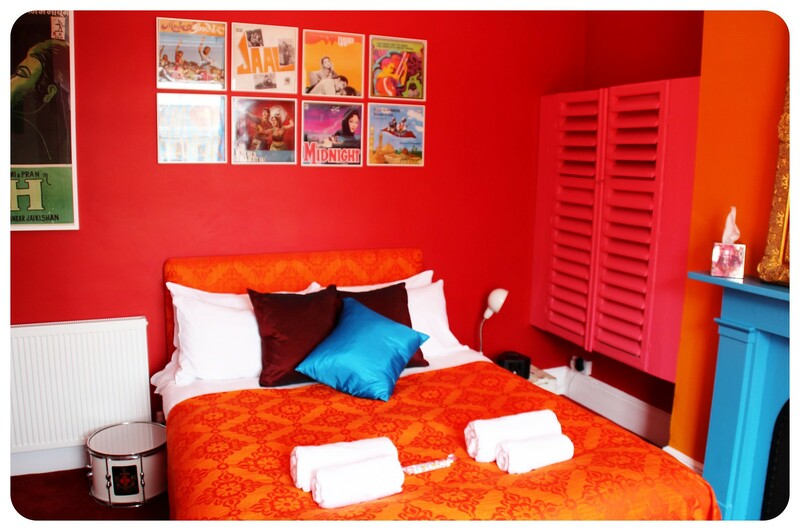 The vintage feel of the B&B also fits in wonderfully with the kind of town that Brighton is: eclectic, weird, and funky. 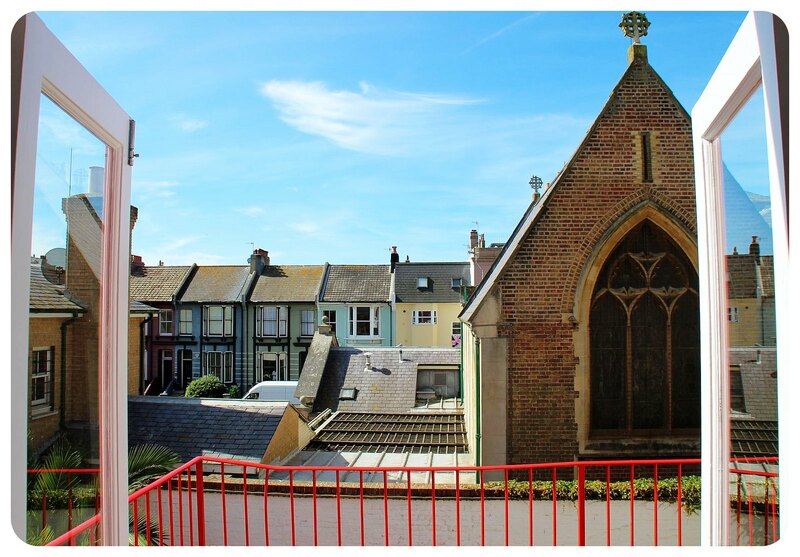 A place like Snooze feels right at home here, and sitting right in the Kemptown neighborhood with its quirky eateries and bars, it is the perfect place to get the perfect ‘quirky Brighton’ experience. And speaking of the neighborhood- not only are you right funky Kemptown, but Tony and Paul also make sure that you aren’t accidentally walking into a mediocre bar or restaurant, by leaving an extensive folder with a number of detailed restaurant and pub recommendations in each room. 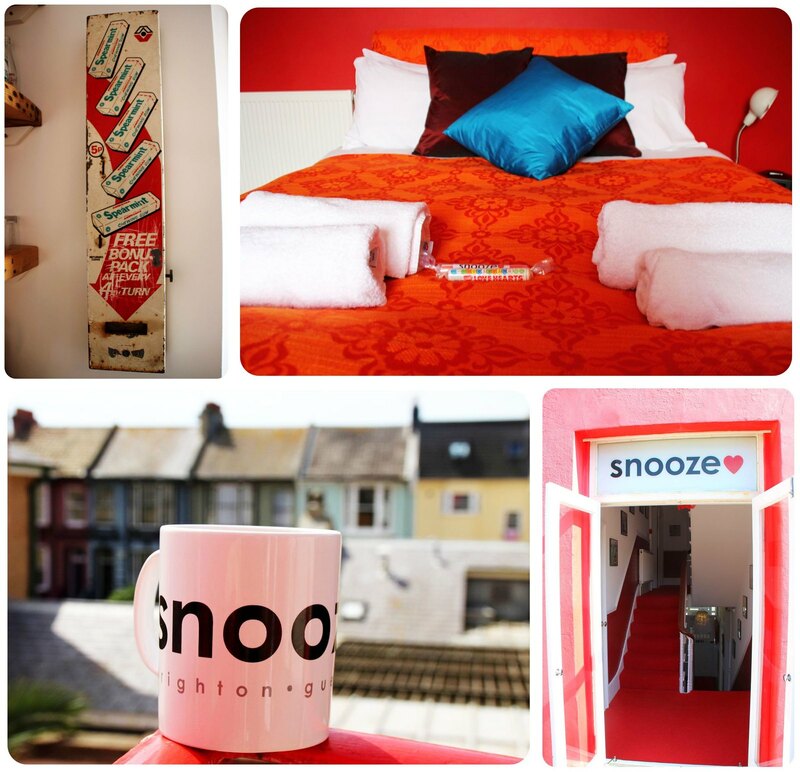 I’ve never stayed in a B&B that felt as trendy and young as Snooze, and I don’t know if I’ll ever have the chance to – simply because Snooze feels so unique that I doubt there’s anything like it out there. 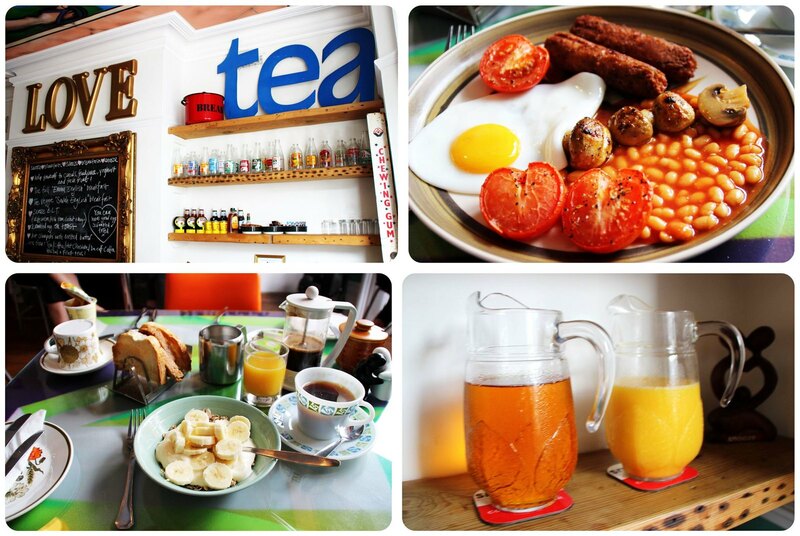 If you’re looking for a B&B experience out of the ordinary, Snooze is your place! LGBT Friendly: Yes, very much so!